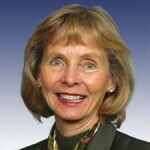 Does character matter Lois Capps? If it is true that a crisis does not build character and only reveals it, the accident that took the life of my daughter, Mallory, revealed an appalling lack of character on the part of congressional incumbent Lois Capps and her staff. While Mallory was fighting for her life under the care of the wonderful staff of Cottage Hospital, another staff was performing its own kind of crisis work. Capps is out in front of the camera mouthing her pious concern for my family while her district director, Mollie Culver, is allegedly scheming to get Raymond Morua, another Capps staff member, who was drunkenly driving the vehicle that ran Mallory down, out of jail and into a VA treatment center where his service as a troubled vet might minimize the media damage. While my family is suffering horribly and facing decisions that no family should have to consider, Capps and staff are thinking only of preserving her exalted position. After all, what is the life of one of the commoners if it might threaten anointed royalty? Five days into our ordeal, our beautiful and precious gift failed a neurological test, and we hear the term “brain death;” all hope of hearing her laugh, feeling her hug, or seeing that amazing smile again are lost forever. Yes, while we are suffering so, Capps and her intrepid troupe made a 180-degree turn and shift their focus and deny that Morua was representing her office that fateful night that he drank, drove, and caused my child’s death. “He must have taken the invite off of someone’s desk” is floated by Capps’s office as a theory and excuse, which was clearly rebutted by the string of texts exposed in Peter Lance’s series in the Santa Barbara News-Press. “We were never aware of Morua’s background, including multiple drunk driving offenses, or his hit and run, or his embezzlement conviction” is trotted out as the new position, as if that made any sense at all. My oldest child, Mateo, was drug-tested and background-checked to push carts in Walmart’s parking lot, but to work for Lois Capps, all it takes is good demographics apparently. There are certain crater-sized holes in this “we never thought to ask” excuse that have always bothered me. Any time that I have been hired for any kind of job, I have been required to provide valid identification. Morua, at the time of his hiring, could not have had a valid California driver’s license and would only be able to present a basic identification card. This person will be going to different venues and events, and this lack of a valid driver’s license does not raise any red flags in Capps’s office apparently. Nor does the fact that Morua’s fiancée is regularly driving him to events and work raise an eyebrow in this eight-term congressperson’s office. A simple Google search would have brought up an article where Morua talked forthrightly about his issues with PTSD and alcohol abuse. Next up is Capps’s preposterous public statement that her staff is not sent to events where alcohol is served. It was not uttered in front of a winery, but it might as well have been. Perhaps we can offer you a Cappsatini as direct evidence of the complete lack of credibility in this statement. We do not send our staff to events where alcohol is served, yet as documented in Part Two of Peter Lance’s series, the Cappsatini cocktail party in which donation levels were pegged to cocktails was a Capps fundraiser. In short, since my child was run down by a Capps staffer returning from a holiday party that most certainly was related to his work for Capps, all that Capps and staff concerned themselves with is the upcoming election and how this tragedy might impact their chance to continue the royal reign. So Santa Barbara and San Luis Obispo counties, I ask you, what type of representative do you deserve? Is it someone whose character points to callous disregard and preservation of prestige and position at any cost? I hope that it is not. Matt Dies did an interview Friday on the Andy Caldwell Show at 1440 AM. Click here to download the interview. You smartest guys in the room have missed the obvious. Capps is a DEM…the house is Controlled by the Repubs. So she can do nothing, bring nothing back to the Area, and has Zippo Say in what goes on Nationally since she is not just in the minority party…but the ultra-minority party. The district just screwed themselves by sending a Dem into the Repub house. When would Character matter to a Democrat? She won the election but lost her reputation, all to be in the minority and bring back NADA to the Central Coast as a Dem in a Republican Controller House.